For many teenagers and young adults, college is a glorious time that allows them to explore the vast opportunities that life has to offer. Even before they graduate from their tertiary studies, college students are given the chance to experience what it’s like to work in the real world through internships or even paid part-time jobs. Such circumstances are helpful since this allows them to build a stronger work ethic. 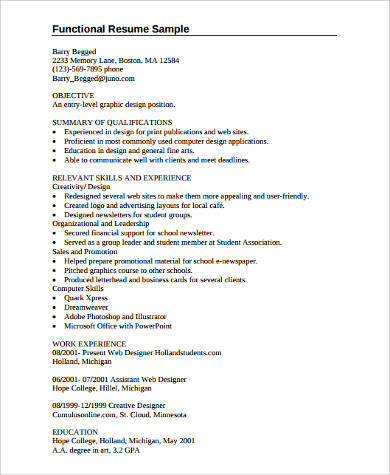 If you’re a college student eager to garner some basic work experience, then you must first create a great resume before applying for prospective jobs. 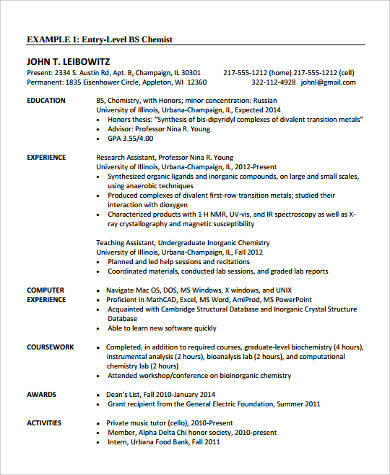 Here are some Sample Resumes for you to reference. 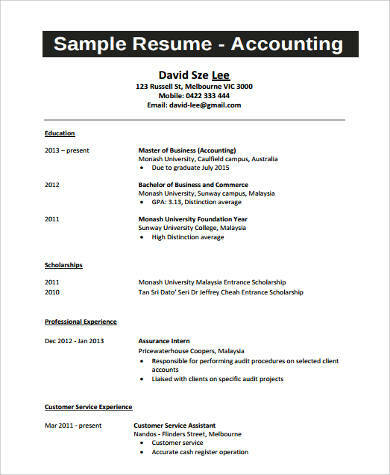 Whether you’re seeking an internship to garner extra credits for your course work or looking for a part-time job outside of school to earn some extra money, the important thing to remember is that you have to write a resume that will allow businesses to take you on as part of their staff. Given that you have no prior work experience, the best course of action here is to highlight your academic and extracurricular achievements, specifically those that are closely related to the kind of job you’re gunning after. This helps prospective employers assess whether you’re a good candidate as an intern or part-time employee based on your core strengths. 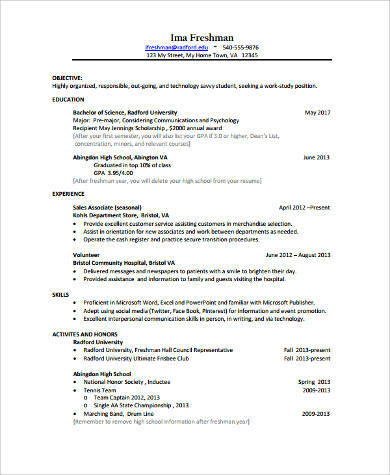 Another helpful strategy you can apply to make your resume look attractive is to list down several character references from people who know you on a personal level. Family members and close friends are good, but you would have greater chances of getting hired by listing your teachers or professors because employers want to corroborate your achievements with the professionals who gave them to you in the first place. 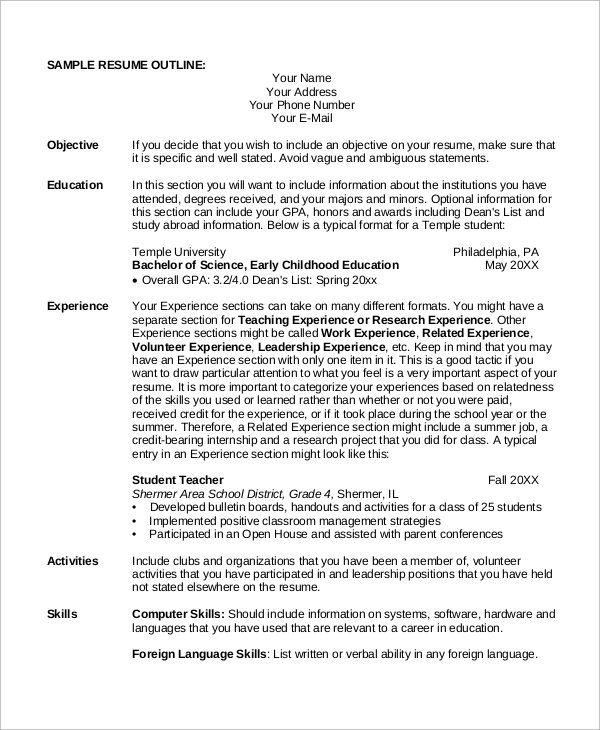 For more helpful guidelines, take a closer look at the Sample Resumes For Graduate School and Sample Resume Outlines featured below. 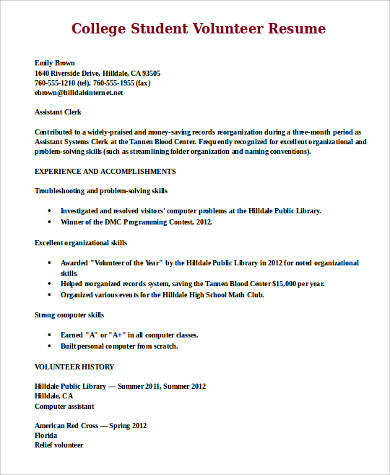 Although creating a resume for an internship or part-time job is relatively easy, the more challenging part of the process is going through interviews with your potential employers. 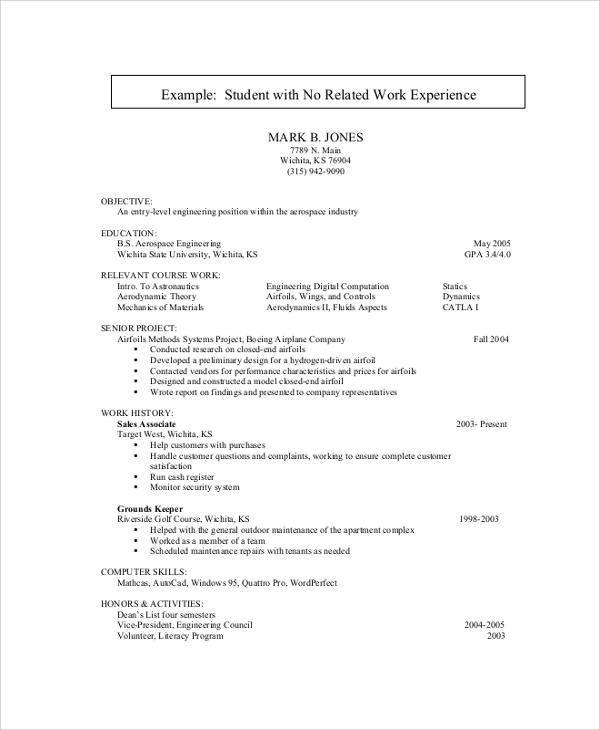 Presenting yourself through a resume is one thing, but it’s another thing entirely to talk about yourself with someone who holds your future work experience prospects in their hands. 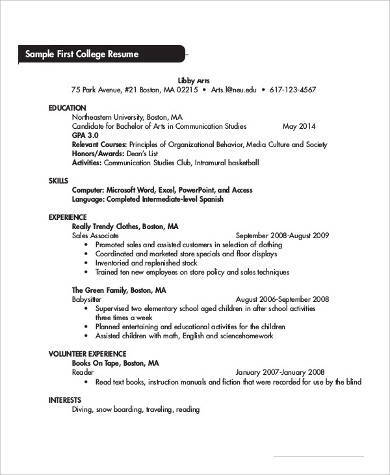 Therefore, it’s important that you should practice for interviews as much as possible, especially when you’ve already submitted your resume to the places you want to work for. Think back to the time after graduating high school when you’ve had to go through the same experience with the admissions officer in the hopes that you’ll be accepted to the college of your choice. 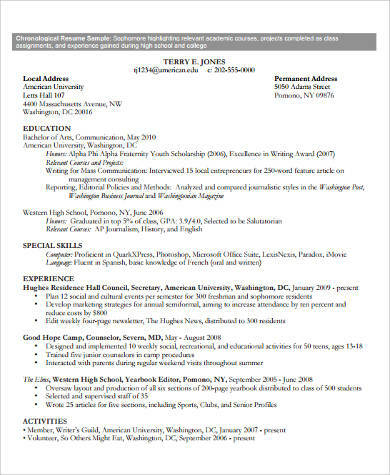 That should serve as a good reference point for you since being interviewed by a prospective employer is pretty much like being interviewed by a college admissions officer. Always remember to remain calm and composed, while also projecting the right level of confidence and intelligence throughout the conversation. 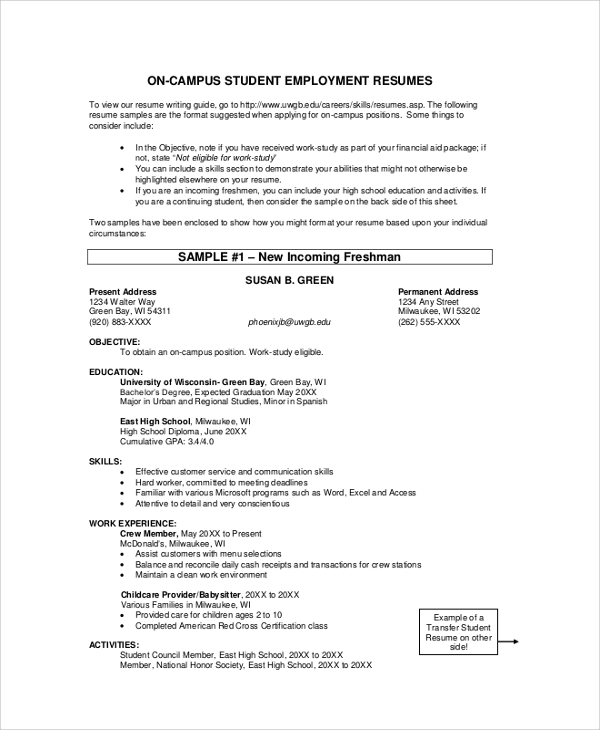 Now that you have these Sample Graduate School Resumes and other options at your disposal, you’ll have no problems whatsoever landing that part-time job or internship to help kick-start your career goals.